The principality of Liechtenstein may be one of the tiniest countries in the world, but its princely family still has a couple of pretty impressive tiaras in the vaults. Today, let's have a look at their second major diadem, the Kinsky Honeysuckle Tiara. The sparkler, made of honeysuckle motifs in diamonds, silver, and gold, dates to the nineteenth century. The honeysuckle designs are surrounded by a halo of diamonds, and each element is interspersed by a vertical element with a floralesque design. 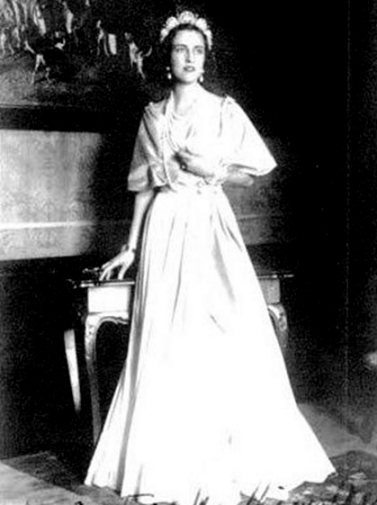 The tiara started as a part of the Kinsky family collection, but its first wearer was a Princess of Liechtenstein. The sparkler was apparently a wedding gift to Princess Marie Josepha of Liechtenstein from her new husband, Prince Ferdinand Bonaventura, the 7th Prince Kinsky of Wchinitz and Tettau, in 1870. The maker of the piece does not seem to be known. Precisely how the current members of the Liechtenstein princely family got their hands on this sparkler hasn't been made entirely clear. However, the family does have further Kinsky connections. 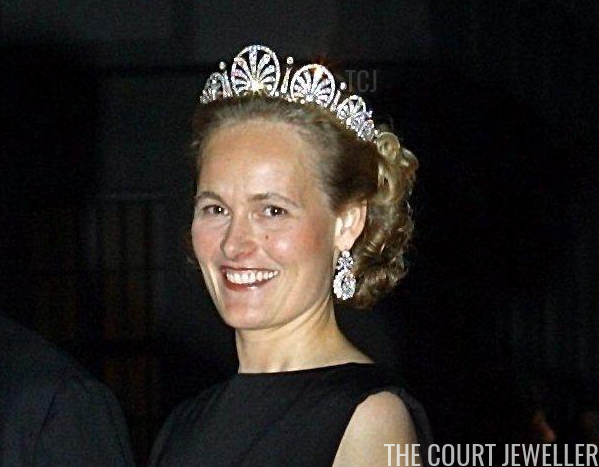 The current Princess of Liechtenstein was born Countess Marie Aglaë Kinsky of Wchinitz and Tettau, and some suspect that her husband, Prince Hans-Adam II, bought the Kinsky tiara for his wife at some point in the 1980s or 1990s. She made her first public appearance in the tiara in 1993, when she wore it for a ball the night before the wedding of her son, Hereditary Prince Alois, and Duchess Sophie in Bavaria. Since the tiara came into the family's collection, the Liechtenstein ladies have made good use of it. It has served as a bridal tiara for two of them: Princess Tatjana, the only daughter of Hans-Adam and Marie Aglaë, and Angela Brown, the wife of Prince Maximilian. 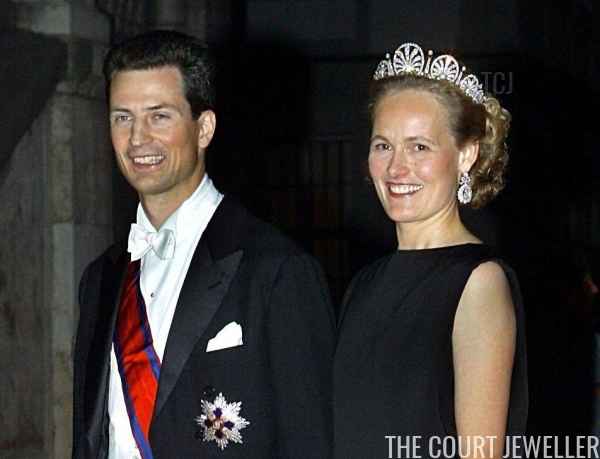 The tiara has also been worn by Marie Aglaë and the current hereditary princess, Sophie. As Sophie's husband has been the regent of Liechtenstein for nearly a decade, she's the one who appears in tiaras most frequently these days -- though she generally chooses the family's grand fringe tiara. Here's hoping that she'll break her fringe-only routine and give this sparkler another outing soon!